After a delay of nearly three years, Afghans are preparing to vote in the parliamentary elections on October 20. But even before the vote begins, the process has been blighted by insecurity, violence, political intrigue and mounting instability. Despite security threats and concerns over the electoral process, there is an unmistakable excitement among Afghans across the country for the parliamentary polls. 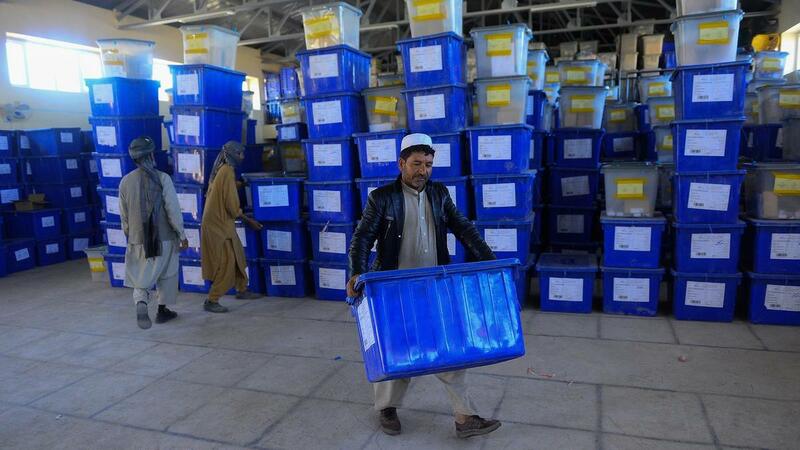 Nearly 8 million Afghans have registered to vote for over 2,565 candidates contesting 249 seats in the parliament. A large number of these candidates – about 60 per cent – are under 40 years of age. The promise of fresh blood and new ideas is perhaps what has generated tremendous interest from an otherwise war-weary nation. Local activists say the newer faces, despite being less powerful, are challenging the position of entrenched warlords. A sign they may be shaking up the established status quo is the number of attacks on candidates. A few weeks ago a political rally by a young candidate Abdul Nasir Momand was targeted in Kama district of Nangarhar, killing 13 and injuring 42 of his supporters. Mr Momand escaped unhurt and remains determined to contest the elections. At least 10 candidates have been killed in attacks or by gunmen in the last few months, making this campaign seasons one of the deadliest in history.